Can the Chicago White Sox play with the big boys? So far, the answer is a resounding no. Through 48 games, the Pale Hose are 9-1 versus Minnesota and Oakland and 18-20 against everyone else. 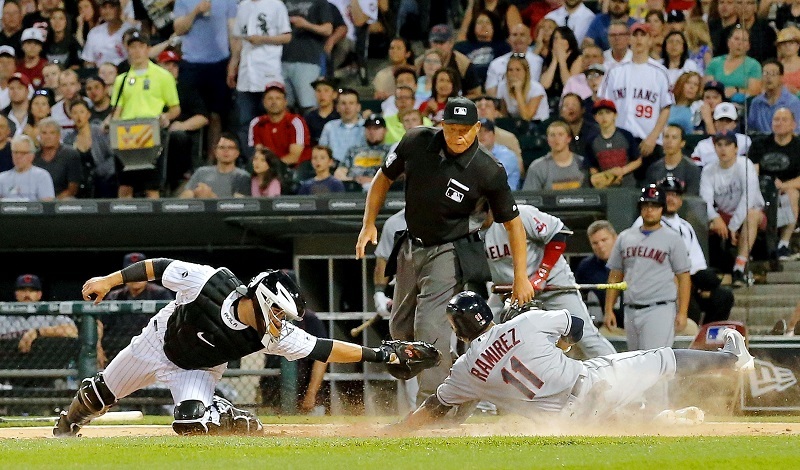 After dropping five of seven to rival AL Central clubs, Chicago’s six-game lead on May 9 evaporated. Now that Kansas City and Cleveland have closed the gap, the Sox look like pretenders in a four-team division race. Losing three of four to the Indians made it a 4-11 run for Chicago since the club won the first game of a series against the Rangers and stood at 23-10. Was this team playing over its head at that point? Absolutely, even though some thought the club was for real. Since May 12, Mat Latos has a 6.35 ERA, Jose Quintana is 0-3, and Miguel Gonzales (0-1, 4.22 ERA) is pitching pretty much like a starter who was released by the Orioles. Even Chris Sale lost a game. But the rotation is never really the problem here. Over a period of about three weeks, Chicago saw production from its middle infield crumble, which you had to expect with Jimmy Rollins and Brett Lawrie holding things down. Lawrie, who had a few promising weeks early in the season, is back to being himself. He hit .156 with 17 SO in his past 12 games (45 AB). Rollins (.192, 10 S in 33 AB) is right behind him. Elsewhere, Austin Jackson (.244, 0 HR in 176 PA) left Chicago back with its perennial hole in the outfield. If we told you about the 2 HR Dioner Navarro and Alex Avila have managed in their 51 combined games, we’d be piling on, so we’ll skip it. This team just does not score enough runs to stay competitive, and trade rumors are already swirling. The front office first has to narrow down its needs. While a shortstop, catcher, and center fielder would be top priorities, these players tend to be among the priciest and most difficult to land. That leaves Chicago in the market for a corner outfielder or DH. New York’s Carlos Beltran has been floated as one possibility should the Yankees decide to sell, but that market would not heat up until July. Until the Yankees are done, they won’t make a deal. Jose Abreu (.257, 6 HR, .738 OPS) certainly figures to break out and start pounding the ball in due time. But will it be enough to make up for the shortcomings around the diamond? The luck enjoyed by Latos, who has a career-low strikeout rate and 1.41 WHIP, is one of the more ominous storm clouds hovering in the rotation. Gonzalez, who has allowed 37 baserunners in 21.2 IP, is another disaster waiting to happen. While the White Sox have been at their weakest in mid-May, the competition in the AL Central has come alive. The Royals and Indians both won seven out of 10, several of which came at the hands of Chicago, while Detroit outdid both clubs with an 8-2 run through May 26. For the Tigers, the club’s eight-game deficit had whittled down to three games. K.C. and Cleveland were within a single loss. A four-game set versus the Royals loomed for the Sox, followed by three in New York against the Mets and three more in Detroit. After that, the White Sox had three versus the Nationals. Unless Robin Ventura’s club can turn this slump around quickly, its hold on first place will be nothing more than a fond memory by mid-June. This team hasn’t been successful against teams with winning records, and all of the above have one. Now that we’ve seen the light and dark sides of the White Sox offense, it’s clear this team has not filled the gaping holes it had last season. It had a great opening month to the 2016 campaign and now it is dealing with the inevitable regression. 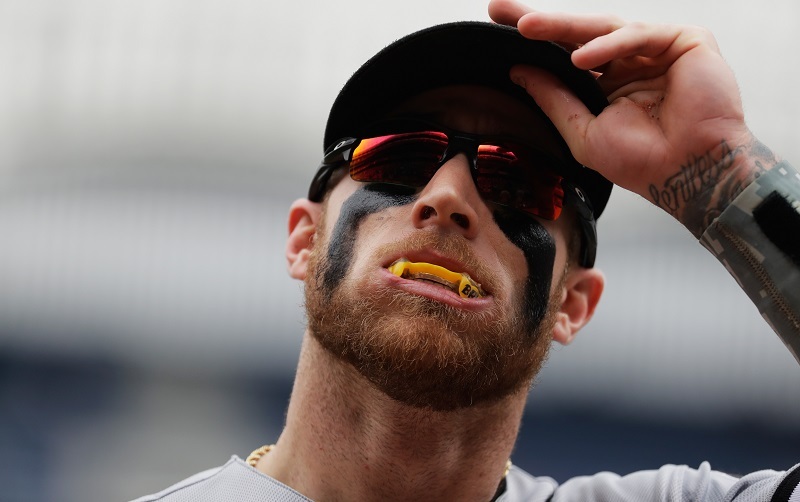 Baseball is brutal like that, and unless the White Sox front office can improve the team in the coming months, Chicago will be back where many expected to find it in the standings at the end of the season.